Someday, everyone gets to the point where he must realize his dream. I always wanted to tune a two-stroke engine and drive off with a wolf in sheep's clothing of the competitors in the race. It happened on a sunny winter day in February 2006, when I walked with my friend Martin through the palatinate Forest. I had not touched a motorcycle for over 14 years and wanted never to do again. As the road led us past a dilapidated house in whose garden a dozen beautiful, but totally rotted bikes from the 70's were. 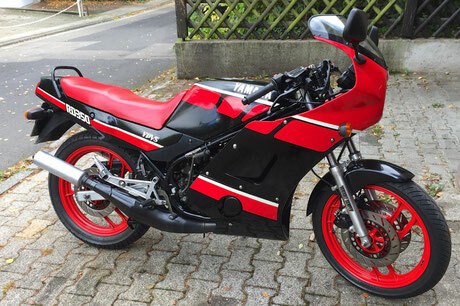 "Let resurrects an old motorcycle and make it better than it ever has been. What a dream. 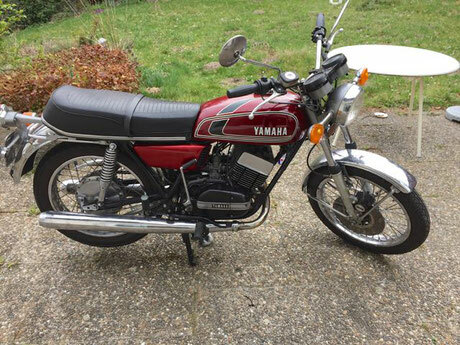 Back home, I looked on the Internet for my childhood dream, the RD 250 Bj'73. I was sure that all RDs have broken, but far from it. eBay presented RDs in all possible states of preservation and from that moment in the winter of 2006 I was fascinated. Well, no other engine was tuned and maltreated more as that of the RD. But what performance really sleeps in that old engine? Sice this time question has'nt let me gone.